Life without a proper functioning PC is unimaginable in today's world. From professional work in offices to entertainment at home, computers have become an integral part of our lives. But the moment they start giving errors or stop functioning properly, our lives come to stand still. 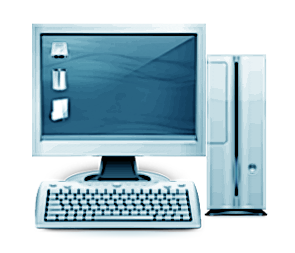 Computers are after all machines and require repair and maintenance. Regular maintenance and repair is required to be done in order to keep your system healthy and running in good condition. This will not only save your precious time but will also save you money in long run. Live PC Expert technicians are available round the clock and can offer quick online support for all reputed computer/desktop brands including Lenovo, Acer, HP, Sony, Samsung, Toshiba and more. From set up to installation to repair, we are always available round the clock and throughout the year to provide you uninterrupted quality solutions regarding any type of software errors, up gradation, pc optimization etc. This will not only help to increase your computer's performance but will also help boosting speed & productivity of your computer's operations. Customer's convenience is our first priority, so we provide expert tech support. And rest all will be done by our engineers, while the customer can sit back and relax. So no more worries and need to visit service centers, if your computer/desktop is out of warranty period. You can reach us by any of the below options. Assistance in boosting computer's speed and improvement in performance via PC optimization.